In "carrots", "dip", "gluten free", "part food", "raw", "vegan"
I loooved this Polish soup as a child; however, I HATED beets. 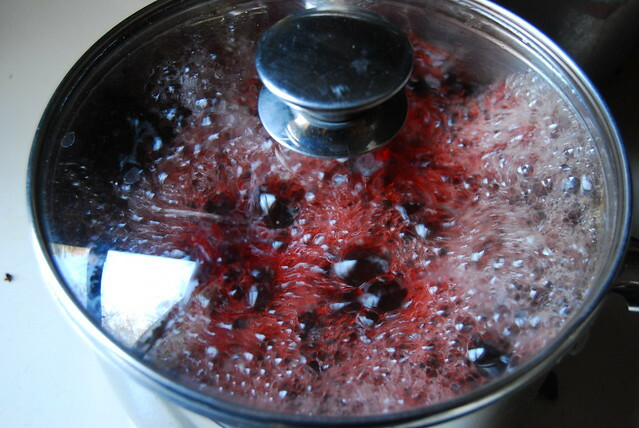 I hated the texture of grated beet so much that I use to ladle the soup trying my hardest to avoid any beets. This time, as an adult, I decided to make this soup my way. 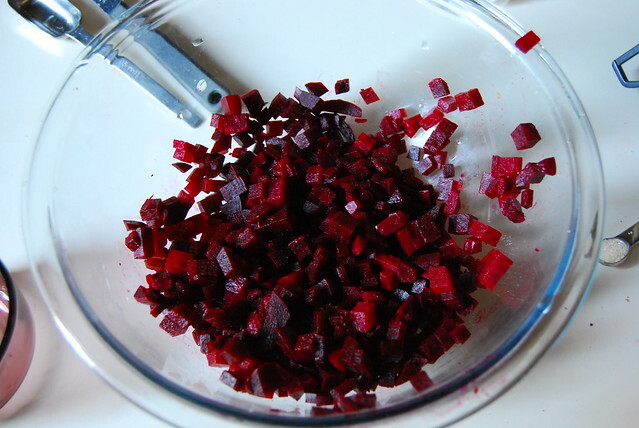 I diced the beets instead of grating them. I ended up calling my mom about 3 times as I was making the soup. I thought this was going to be so much harder then it actually end up being. Like my mother said, it's a mix of sweet and vinegar taste you want to get and that's a personal preference. I really loved how this turned out. 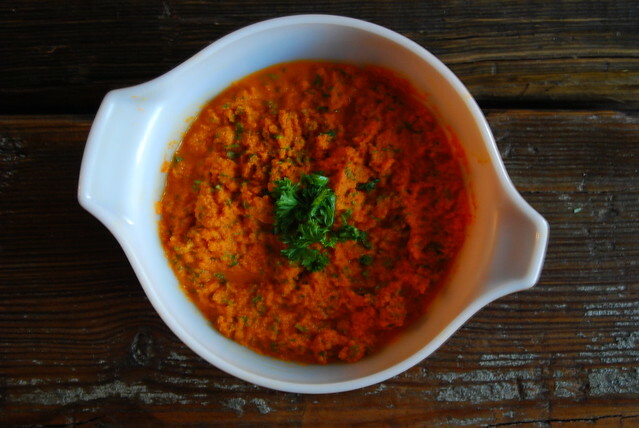 Hope my friends Charlie & Paulina get to make this Polish vegetarian soup. It is quickly is becoming a winter favorite in my house. Enjoy guys. 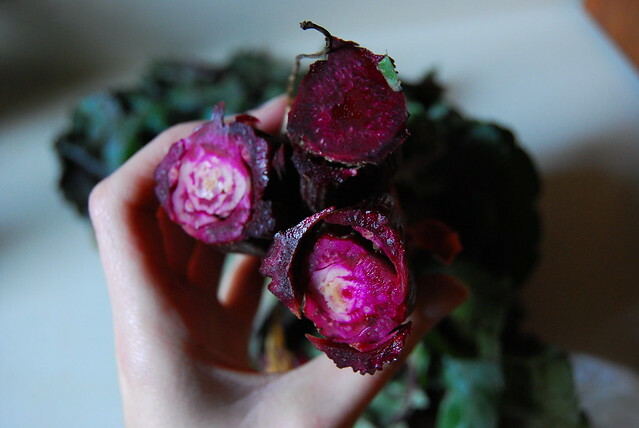 - You can boil more then the number of beets you need & freeze the other half. - Leave the cream out of soup until you are ready to eat. Adding into your bowl instead of the pot. 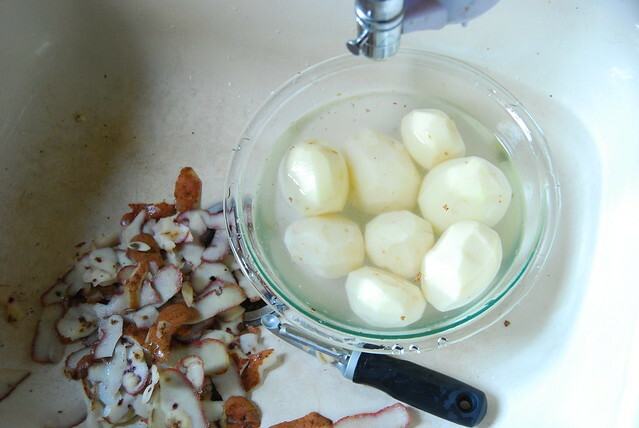 - The more vinegar you add the more likely the cream won't mix in the soup. 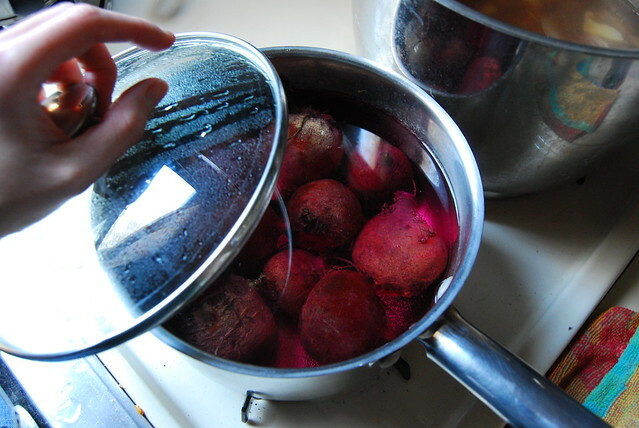 - If you forget to add vinegar right after the beets & loose color, boil another beet, grate yo regain the color. Boil water / broth. If using, put in your bullion cube. Simmer on medium to low heat bay leaves, whole spice, carrot, celery, and potatoes until potatoes are pierced easily with a fork (about 10 min). 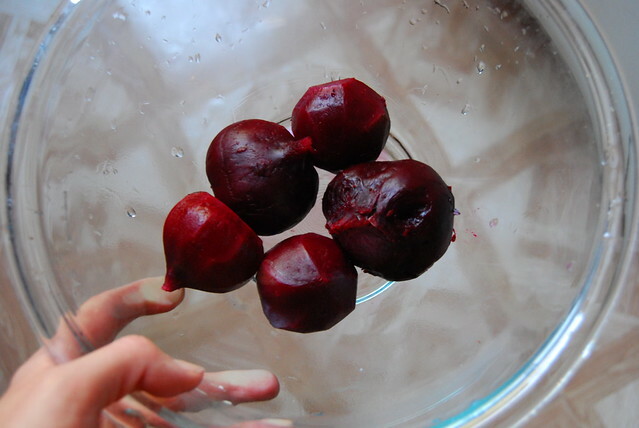 IMPORTANT : When adding the beets, have your vinegar measured & ready. 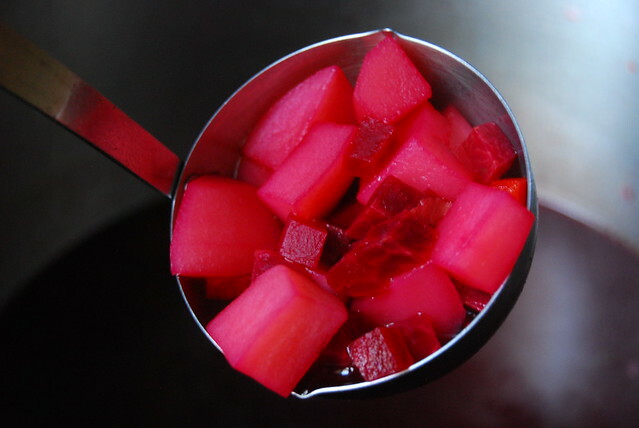 Vinegar need to be added right after the beets in order to keep the red color. 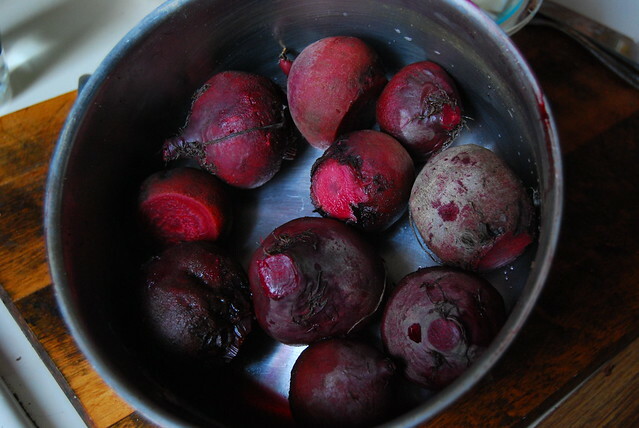 After adding the beets & vinegar, add sugar, salt pepper to taste. Simmer for another 5-10 min. Serve in a cup or bowl along with a 1 TBS of cram, half/half or vegan creamer. In "gluten free", "polish vegetarian recipes", "soup", "vegan"
and using this as a dipping sauce this weekend. 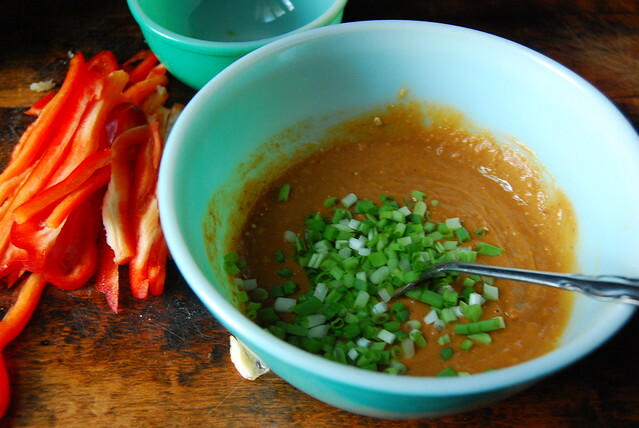 This peanut sauce can be made not spicy. This part is really up to you. As well as the salt content. That's the beauty of making your own food. I originally made my own peanut butter and never added salt. I ended up adding extra soy sauce to make up for it. Can be thinned out with more hot water. 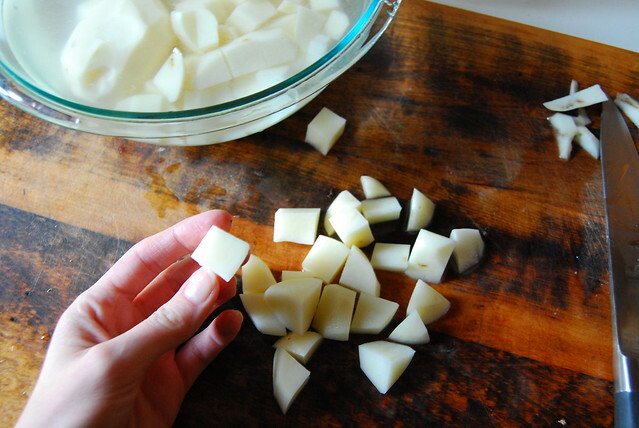 Measure and mix all ingredients in a bowl with a fork or a whisk. Serve immediately or refrigerate up to 5 days. In "goes well with", "vegan"
For a few weeks there was a conversation going on in my head. Slowly the idea of "Why not just make my own almond milk?" started to creep in. "Why take the time? I can just buy it." Amazon is great for bulk order and my apt. runs on amazon.com orders. Why make anything? Because I like food. I like my food to taste good and every blogger I read was raving about making their own nut milk. There are times when I can be very lazy about making my food. Maybe this was something worth the 15 minutes from my week. To make almond milk you will need a nut milk bag. Cost is around $7.00 on amazon (For a tiny little bag? WTF? They probably coast $0.25 to make) or a paint strainer bag. Cost is $2 for two bags and it's rounded at the bottom for easier straining. Bags that are square make it harder to control the flow of water. 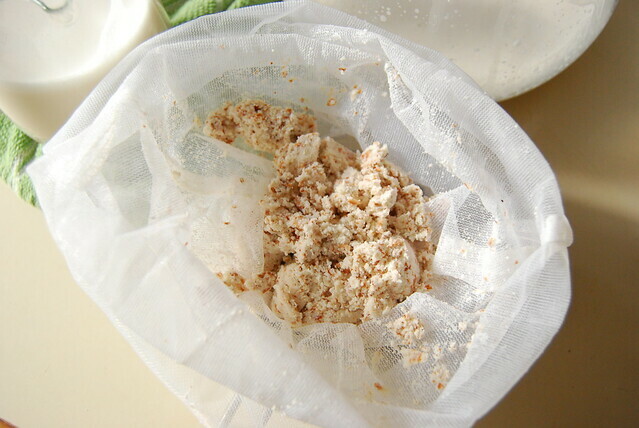 Paint strainer bags are the same thing as nut milk bags. They just don't come with a pretty green label to tell you its associated with health food. Can be purchased at any hardware store. Even in Jersey City! I never knew it was this easy to make almond milk at home. It tastes so much better then the store bought almond milk. It tastes like almonds. I know, what a surprise. I guess I was surprised how much it tasted like almonds compared to the normal brand of Almond Breeze. I did a taste test with my boyfriend this morning. I handed him two shot glasses. One with my almond milk and the other with Almond Breeze milk. "This one is obviously yours." It only took one sip. The second sip was Almond Breeze. Not much to say about that. The homemade was creamier and more nutty. 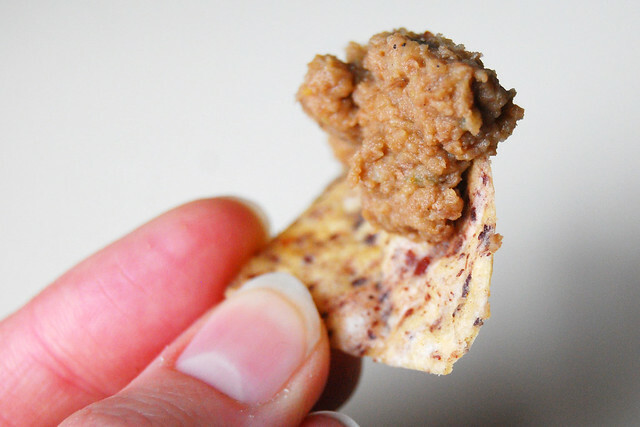 Store bought didn't taste nutty in comparison. It also had mineral like after taste. Expect the home made almond milk to separate when left sitting. The store brands use a binder to keep such as carrageenan (seaweed derived). Separation is natural. Give it a shake before pouring in your cereal. 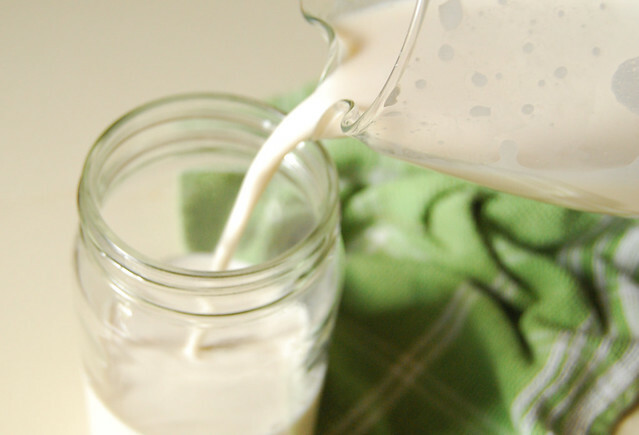 There are lots of great recipes for almond milk. The one listed below is the one I used. I would love to try and put in dates next time (like in the video) and more vanilla. The variations are endless and really up to the individual. Now all I really need is a bunch of almonds and a nice glass pitcher. For now I stored it in two glass jars. I would also like to try and make rice milk or a mix of cashew & almond. 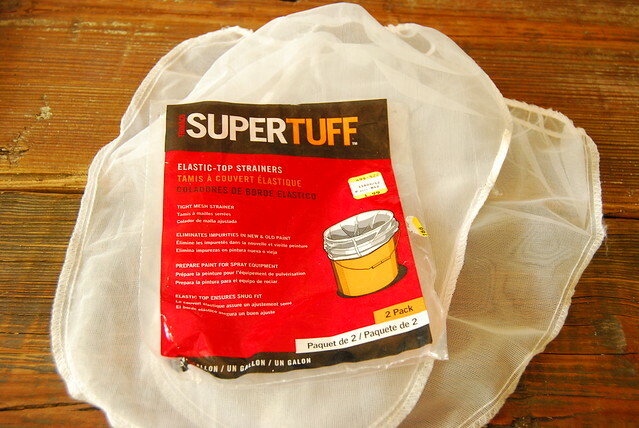 - Make sure to buy a bag with finished seams. I've read complaints that nut mill gets stuck in the seam. - Turn bag inside out. So that the seam is facing out and not touching the pulp. This makes it easier to clean the bag. 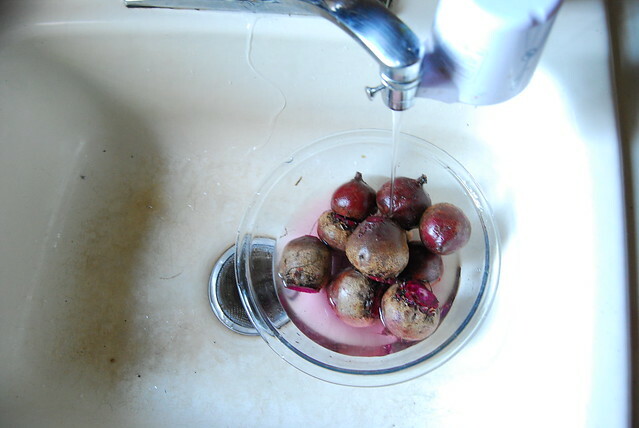 - I don't use the same water as my soaking water and give it a quick rinse, just in case the almonds were dirty or any sink falls off. 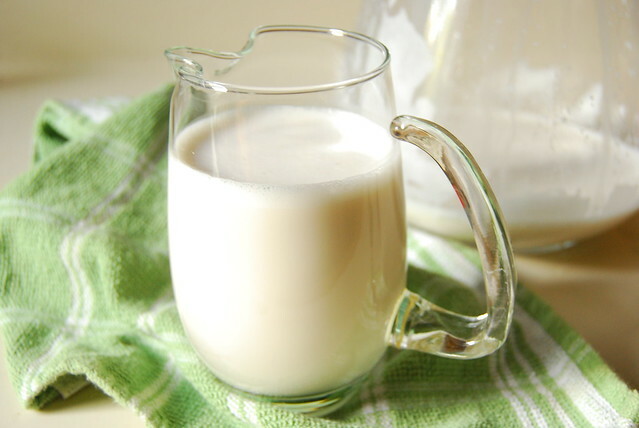 - Less water makes it a creamier milk. 1 cup almonds soaked overnight or at least 8 hrs. 3 cups water or more. Place almonds, sweetener, vanilla and water in blender. 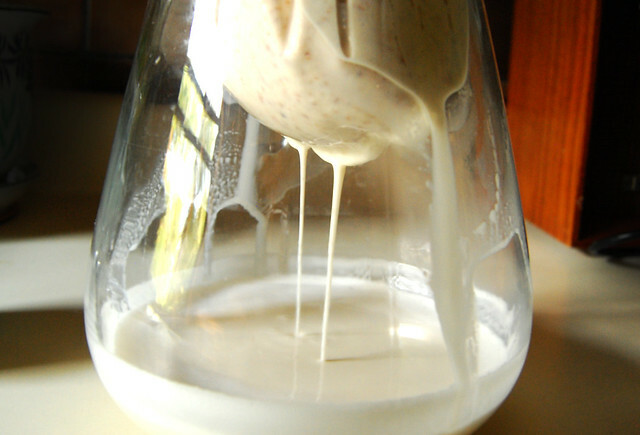 Blend 2-5 min until almonds are incorporated into milk (this depends on blender). Place nut milk bag over bowl or pitcher and poor in almond and water mixture. Either you can hang bag over the bowl or pitcher and let it drain or you can slowly massage the bag to release the liquid. Store in refrigerator. Will keep fresh for 4 - 6 days. In "drink", "how to", "vegan"
(highly recommended if short on time). I was wrong because the next day I couldn't eat enough of it. It had a slight spicy aftertaste that wasn't overpowering. Fry onion in pan. When the onion starts to soften, add the garlic & jalapenos. Cook for 5 min. 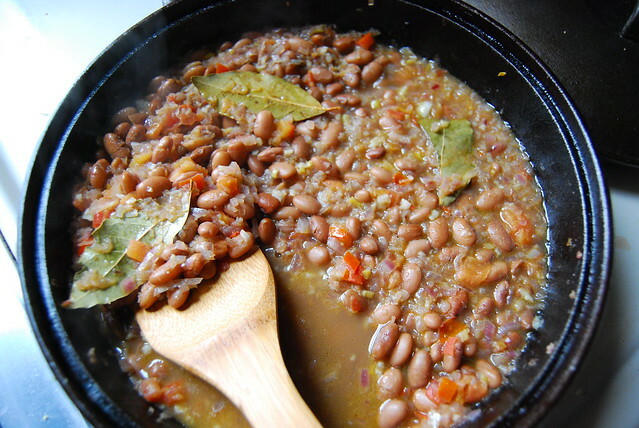 Add beans, vegetable broth, bay leafs, tomato & cook for 10 min or if not using canned beans, until beans soften. Liquid will cook down. Add chili, paprika, & liquid smoke. 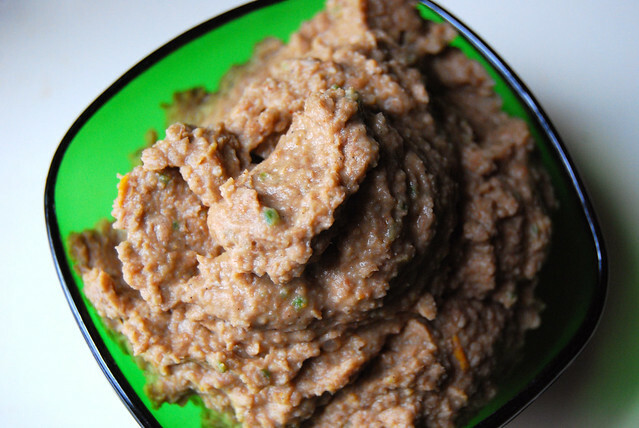 Mash with potato masher, put in blender or leave as is for a more rustic looking dip. 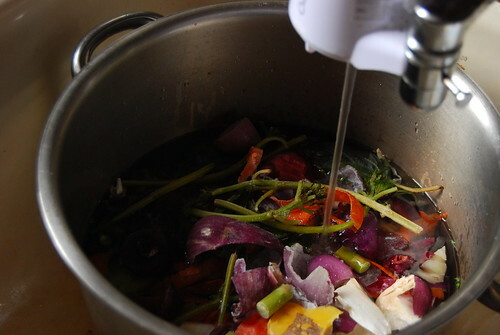 Before making my own broth I thought it was way more complicated. Sure, there are specific broth recipes for specific soups but I throw all of that out the window. I save tiny onion ends, carrot scraps, tomato bits, asparagus clippings, and throw them in a plastic bin that is kept in the freezer (actually it's two 64 oz plastic containers). 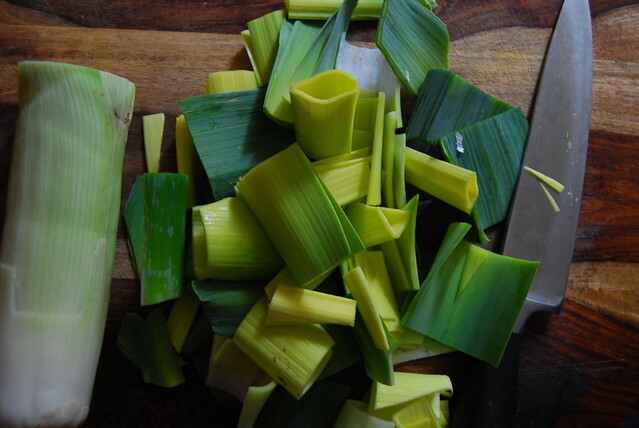 I even end up using the green ends of leeks ESPECIALLY when making potato and leek soup. 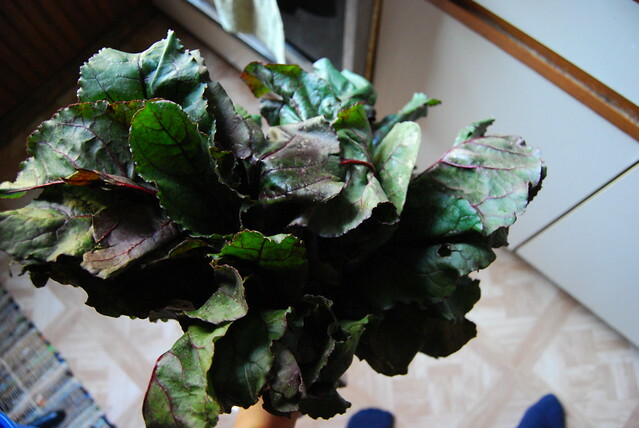 Its just crazy for me to throw all that fabulous aromatic greens. When washing leeks keep in mind to wash them, then again, one more time and then you are done. Good rule of thumb is to have one part veggies to two part water. Sometimes but not always I throwing in 2 bullion cubers (MSG free), a bay leaf or two & some peppercorns. Bring to boil & simmer for an hour. Let cool & strain. I started to use a cheese cloth to get out the tiny bits of veggies that break apart. If you aren't using it right way, after the broth cools, pour it into ice cube trays and let freeze. Remove from tray and place in a freezer friendly ziplock bag for longer storage.